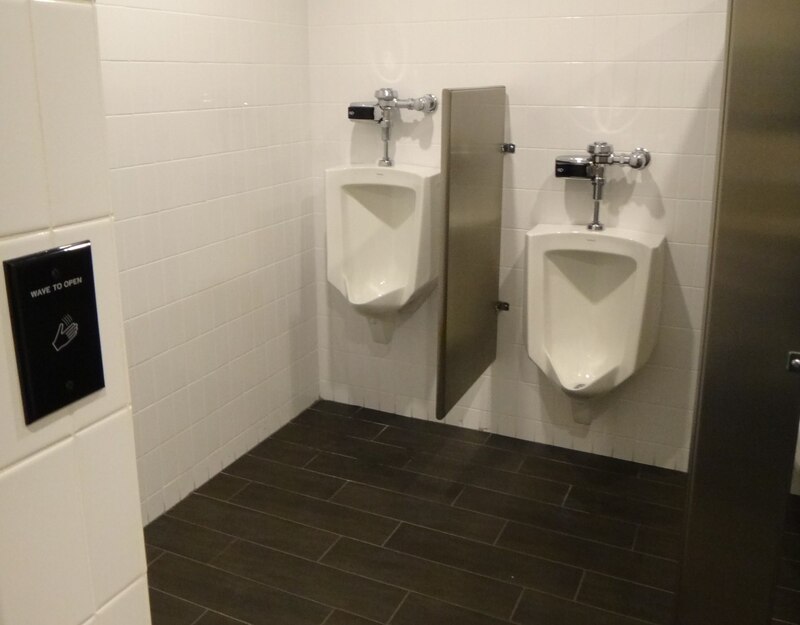 At Litchfield Builders, we have over two decades of experience creating the sturdiest industrial use baths to the highest end corporate executive facilities.We value practical design for commercial restrooms, and we keep up to date with all local codes. 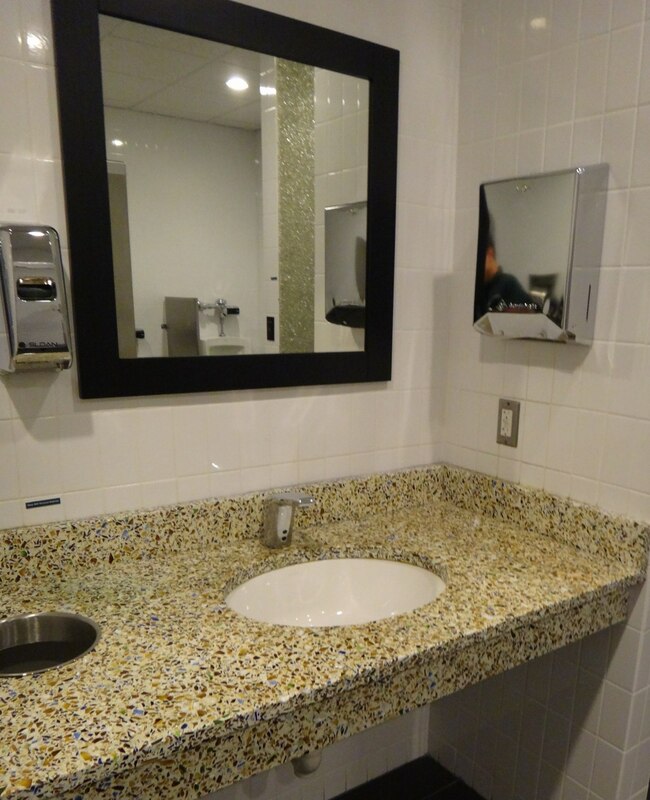 We'll ensure that your restrooms meet the needs of visitors and employees. Use the latest technology for a 100% hands-free operation through the entire restroom experience – A wave of your hand at the wall switch plate, triggers the door operator to open the door. The sensor on the toilet fixture flushes the toilet using motion technology. 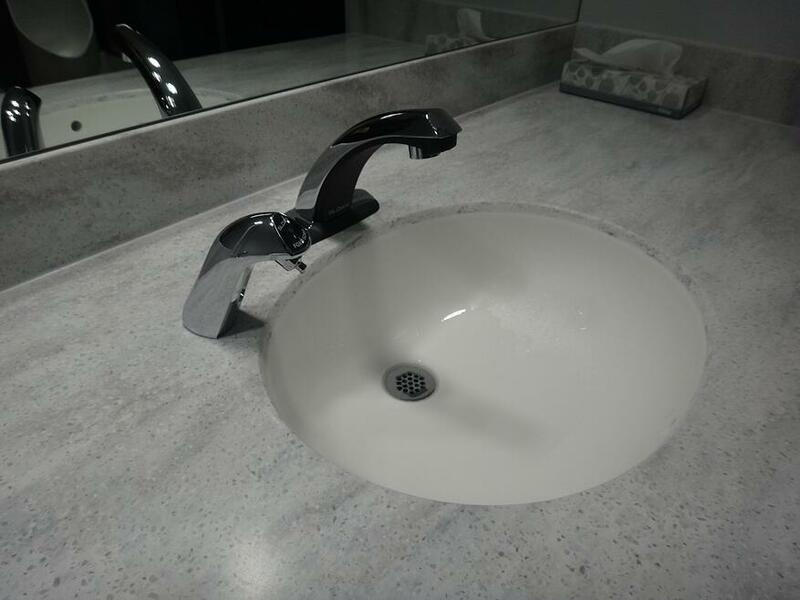 The touchless soap dispenser and faucet allow for touchless hand washing. The use of hands-free hand dryers and paper towel dispensers and a wave to exit yields a 100% hands-free restroom experience. Eco-friendly bathroom designs help save water, energy, and money. More important, installing a green bathroom on your property will reduce your business's carbon footprint and may even attract customers who support environmentally friendly business practices. Are You Meeting ICC/ADA Requirements? The International Code Council (ICC) and the American Disabilities Act (ADA) want to make sure commercial companies are creating accessible facilities for those with disabilities. This can create a lot of questions and possible confusion whether you are fully compliant and if updates need to me made to your bathrooms. Our commercial bathroom projects are always designed and constructed to be fully compliant in order to create an environment that's up to code and accessible to everyone. 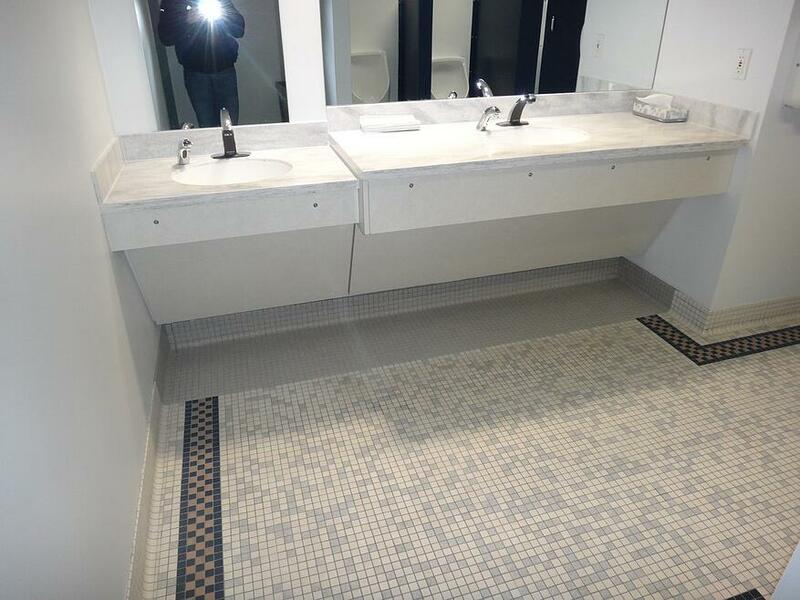 Fill out the form below to talk to us about your commercial bathroom project.